Historically significant and visually rich, this exhibition showcases paintings and sculpture by three generations of Cuban artists. 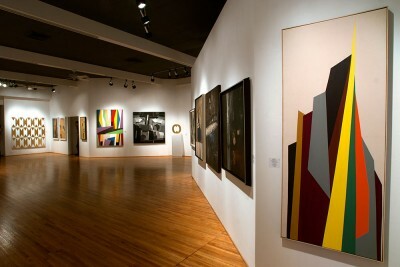 The “Silent Shout” of the show’s title refers to the 1997 exhibition “Pinturas del Silencio” (Paintings from the Silence), mounted during the sixth Havana Biennial to illuminate the lineage of Cuban abstract painting, long repressed under the Castro regime, and to bring to light the work of painters whose voices had effectively been silenced since the 1950s. As this current exhibition demonstrates, what was once a muffled cry has since grown into a hearty esthetic shout. Curators Janet Batet, Rafael DiazCasas, and Jose Angel Vincench guide viewers through 63 years of work made by four historic artists— Hugo Consuegra, Raul Martinez, Lolo Soldevilla, and Sandu Darie—and five living artists. The paintings from the ’50s and ’60s are notable for their compositional finesse and the abundance of amber and earth tones, lending the canvases a chromatic gravitas, most strikingly in Consuegra’s paean to organic forms, Privilegio (1960). But it bodes well for the current state of Cuban abstraction that the show’s strongest and most vital pieces were painted only last year. Luis Enrique Lopez’s Pupilas de Santo V is a sumptuous triptych of circular forms that contrasts vibrantly with Jose Rosabal’s untitled suite of brightly hued architectonic planes. Pedro de Oraa’s virtuosic Divertimento 1 and Divertimento 2 depict a compelling interplay of nested shadows, while Vincench’s own paintings and sculptures employ gold leaf to transform the letters of the politically charged word exilio (exile) into abstracted forms. Viewed together, the works in this rigorous yet buoyant exhibition affirm Cuba’s importance within the evolution of post-World War II abstraction. 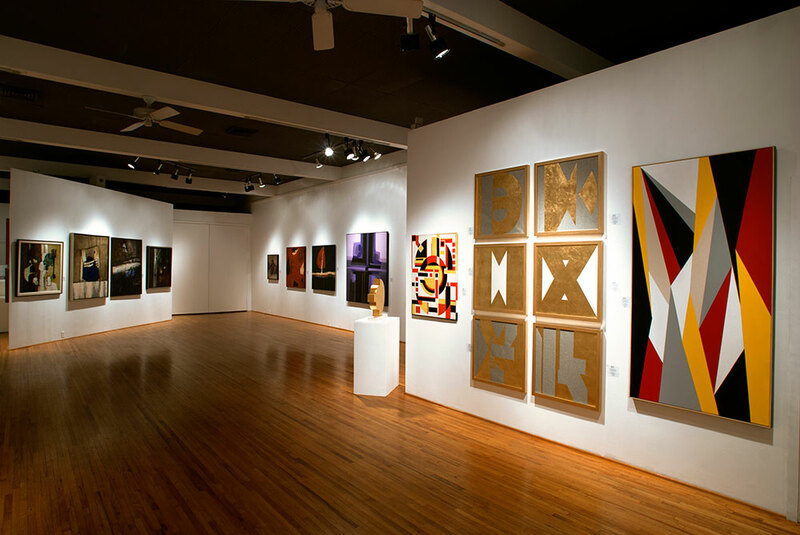 The show itself signifies the passing of the torch to a generation of Cuban artists for whom abstraction is no longer taboo but one among many modes of artistic expression.